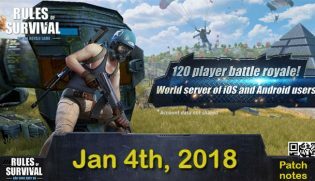 To bring you a better gaming experience, Rules of Survival will undergo an update on Jan 4. 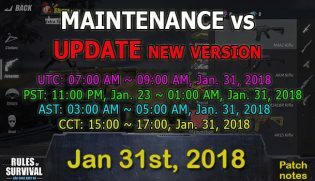 Check the maintenance times below to see when it takes place in your region. Completion time is an estimate and may run longer, but we will do our best to get back up and running ASAP. Equipping a helmet during a match will no longer unequip he adwear. 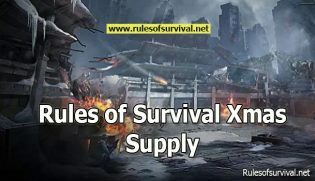 Now, players will be able to have both hats and helmets simutaneously equipped. Optimized character movement and surface performance consumption. Released a patch for newly-discovered x-ray hack. 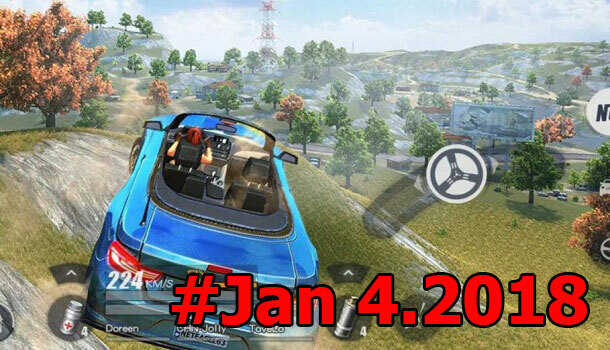 New hvehicle – Speedboat! Players can now ride atop the sea straight into the battlefield! New throwable item – Molotov Cocktail! Thí item can be looted on the battlefield. The ground on which the item is thrown will erupt into flames, and players within the scope of the fire will take continuous burn damage. After some time, the fire will automatically extinguish. Updated the bicycle. A back seat has been added, so that now up to 2 players can ride it. Added a new “Stat” page to the Data section. Here, players can examine their detailed rank information as well as in-game performance statistics. Added more clothes to the discount store, including some new outfits and packs. Added a push to talk button to the team-up menu in the lobbly. Added a special matchmaking mode – Simple mode! Some players have mobile devices that do not support grass graphics. These players and their teammates will instead be automatiocally placed into this mode, in which there is no grass. Players in this mode will still earn the same rewards (rank points and gold) as before. Removed the M14EBR’s automatic fire mode and replaced it with a 3-round burst mode. The zombies in Zombie Mode now have abilities. Added blance adjustments to zombie HP and attack damage. Added new setting that will cause players’ devices to vibrate when their character is taking damge in-game. This option can be activated in the Settings menu. When a player’s character dies, the camera will now stay in the location of death. Optimized vehicle collision effects. Vehicles will now provide more physically accurate protection from bullets. Improved the tapping sound effect in lobby, store, and other interfaces. Improved the item durability indicator within the combat interface. Optimized the ranks and made them easier to be understood. Added a mark of mode in the Battle Result interface. When players are laying prone, they can tap the jump button to directly stand back up.